Chuck Norris has nothing on new Bayer Leverkusen midfielder Sven Bender. The 28-year-old went the distance despite breaking his nose ten minutes into a recent friendly against Sandhausen. Most players would have thrown in the towel, but not the Bundesliga's Iron Man. Early in his playing career Bender earned the moniker of Manni – a nod to the former Bayern Munich, Karlsruher and 1860 Munich midfielder Manni Bender. Due to his combative style, bravery and habit of playing through the pain, the defensive midfielder soon became known as Iron Manni [Iron Man] while at Borussia Dortmund. Over the space of 12 months in 2011 and 2012, Bender picked up four different facial injuries – including a fractured jaw - but more often than not he was patched up quickly and sent back into battle. In November 2013 while filling in at centre back, he famously played on during a UEFA Champions League win over Napoli after breaking his nose. Blood flowed regularly and Bender had to change shirt a few times, but the Germany international refused to quit, knowing that his team were already without a clutch of regular defenders for the game. "It was important that he stayed on because of his performance," then Dortmund boss Jürgen Klopp said at the time. "It was a great game for him and we had to change his bloodied shirt several times. The last one we got from the club shop." Bender left Dortmund earlier this month to join his twin brother Lars – the club captain – at Leverkusen and it is clear that the two-time Bundesliga winner will be every bit as courageous for his new employers. 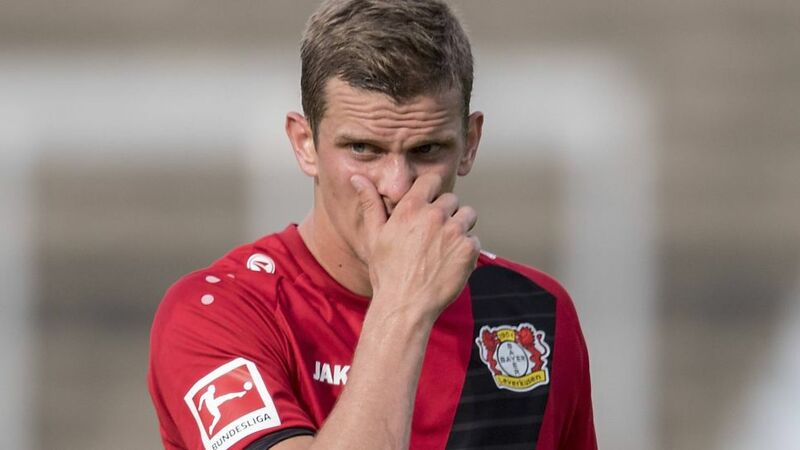 "Sven Bender broke his nose after ten minutes, but continued to fight to the end," Leverkusen head coach Heiko Herrlich revealed following the 3-2 defeat to Sandhausen in pre-season. "Not every player would be willing to do that." The injury is nothing new to Bender since it is the fourth time he has suffered a nasal fracture. In keeping with his resilient nature, Iron Manni has vowed that the latest break will not disrupt his preparations for the new campaign. "I have a certain history of it but it’s no problem," Bender told Bild. "I don’t need a mask or any further examination." Bender's brother Lars probably summed it up best ahead as Leverkusen continue to fine-tune ahead of the Bundesliga opener at the home of champions Bayern Munich on 18 August. "We need more people that have Sven's attitude," he told Bild. There is, however, only one Sven Bender. Leverkusen's last man standing, the Bundesliga's Iron Man.